Living Social is offering a half-price deal on admission to the USS Hornet Museum, which is located in Alameda, CA. For $21 you can get admission for two adults and two children for $21 (regularly $42) or for $15 you can get two adult admissions (regularly $30). The USS Hornet was commissioned in 1943 and is the eighth US Navy ship to bear the name. It served missions in World War II and Vietnam, as well as participating in the recovery of the Apollo 11 and Apollo 12 space capsules and crews. The ship was designated as a National Historic Landmark in 1991and was opened as museum in 1998. 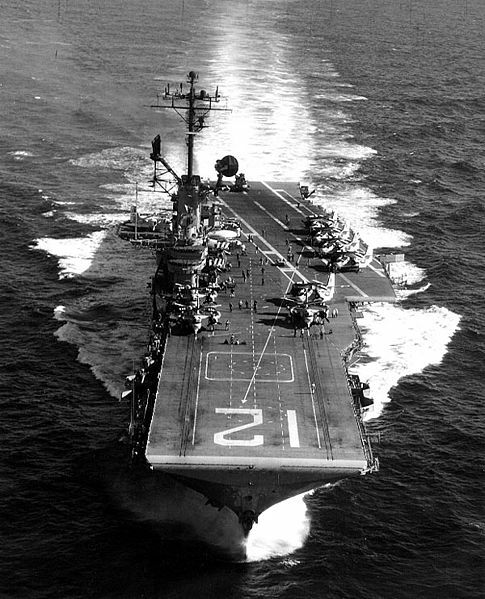 The USS Hornet also has the distinction of being considered the most haunted ship in the Navy and has been investigated by many paranormal groups, including TAPS from the SyFy Channel's Ghost Hunters. I have not been to the the USS Hornet, although I did drive by the location on my last visit to California. It is on my list of places to see for futures trips. The Living Social deal is available to purchase for six more days and the promotional value of the deal is valid through November 19, 2012.